Variations are other boats of this model, but with different prices and equipment. List all Hanse in our offer. List all Sailing boats with same number of berths (11). List all Sailing boats in the same base (Dubrovnik). List all Sailing boats in the same region (Hrvatska). 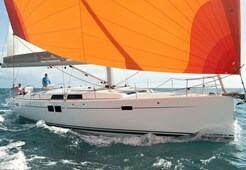 List all Sailing boats with similar price. Check in for boat is at 18:00h and check out at Friday Saturday 09:00h. The yacht particulars and pictures displayed above are displayed in good faith and even believed to be correct but are not guaranteed.